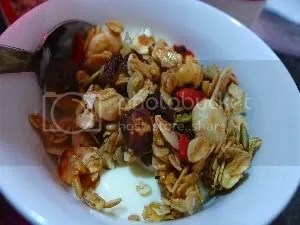 It has become a routine for me to wake up and have a bowl of yogurt with granola with a cup of green tea with lemongrass and lemon. I feel happy when I eat it. 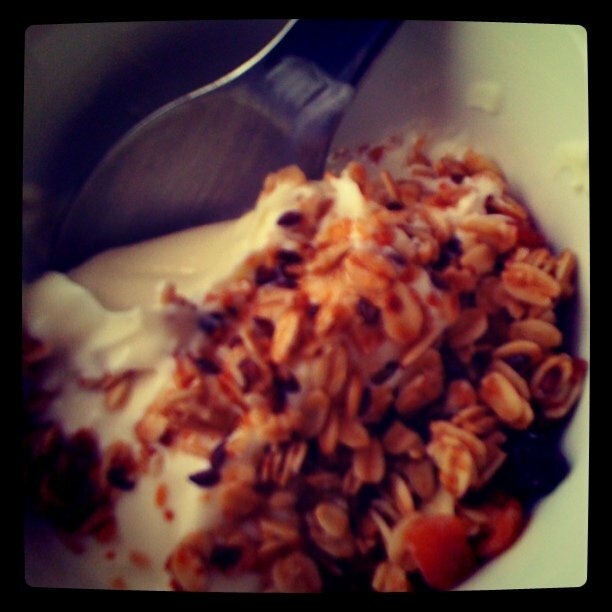 hehe I was reading a post by Laureen and I was inspired to make my own granola! So I got down to doing it today. 1) Preheat the oven to 150C. Line the baking tray with baking paper and set aside. 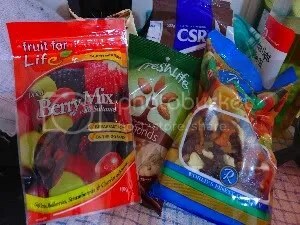 2) Mix all the dry ingredients (except the dried fruits) together in a large bowl. Combine the honey and oil in a saucepan over low heat until smooth. 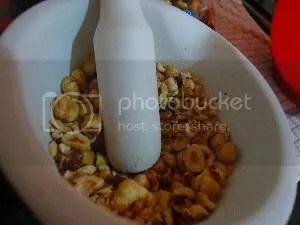 Stir the honey mixture into the dry ingredients and mix till well combined. 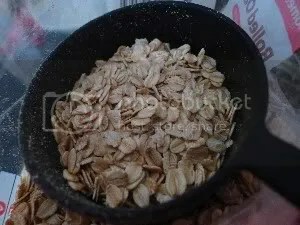 3) Spread the granola on the prepared baking sheet. 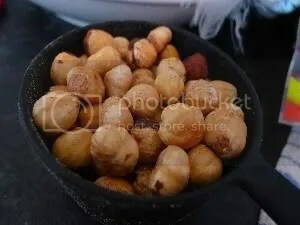 Bake for about 30 minutes or until golden, stirring every 10 minutes. 4) Remove the tray from the oven. 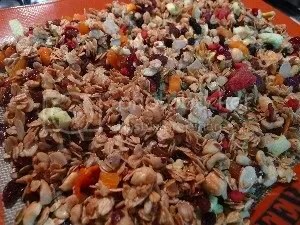 Let the granola cool completely before stirring in the dried fruits. 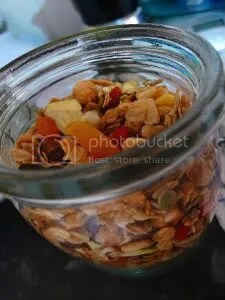 Store granola in an airtight container. 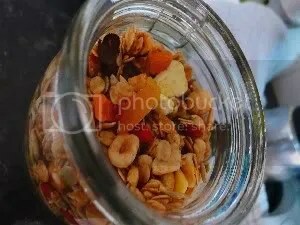 I love the mixture of nuts you’ve got in your granola! You’ve certainly got me wishing now that I had a jar of it on the kitchen top! hehe (: thanks babe! hehe i do prefer a mixture of nuts in my granola! hehe more of a crunch! Make some when u have the time! It’s the Low family breakfast now. Can’t be tastier or be more healthy.